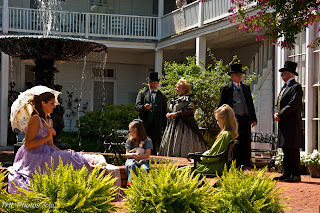 The Riverport Ambassadors wander up and down the streets of the Historic Riverfront District and introduce our visitors to what life was like back in 19th century Jefferson. You can see Civil War heroes, scalawags, railroad tycoons, clerks, church ladies, steam boat captains or other wonderful characters. 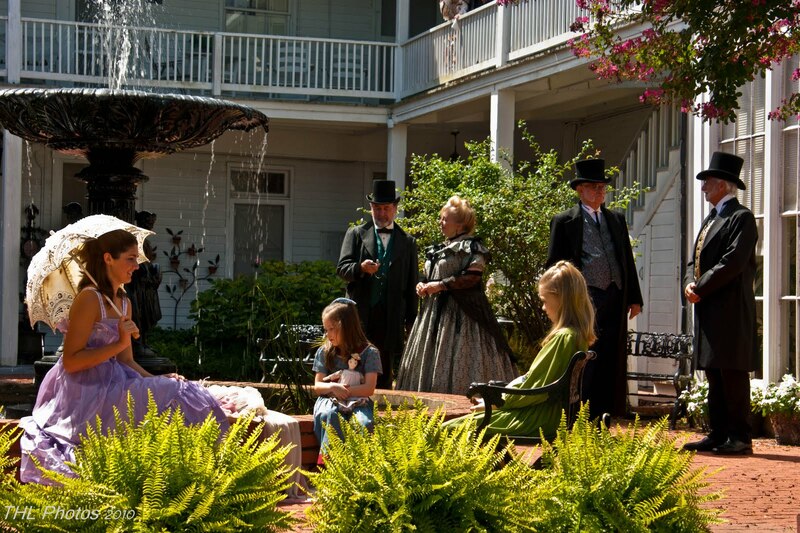 The Riverport Ambassador Program were created to enhance the “Riverport Experience” of Jefferson, Texas. They do so by having fun and dressing in period costume. All Riverport Ambassadors try to interact one-on-one with our guests and visitors. The mission of the Riverport Ambassadors is to promote tourism, support businesses and interpret the history of Jefferson. The Riverport Ambassadors were so successful July 4th that they will be out every weekend starting the first weekend of September and continuing on until May. There is no better way for you or your children to learn about the wonderful riverport history of Jefferson then through the recreation of that history by the Riverport Ambassadors. This entry was posted on Tuesday, August 3rd, 2010 at 12:38 am and is filed under Riverport Ambassadors. You can follow any responses to this entry through the RSS 2.0 feed. Responses are currently closed, but you can trackback from your own site.